Metro’s Yellow Line will shut down for two weeks starting Monday, November 26 to Sunday, December 9 as the transit agency closes the bridge over the Potomac River to work on repairs. Alternate routes include free Metrobus express shuttle service between Franconia-Springfield and Pentagon and between Pentagon and L’Enfant Plaza weekdays until 8 p.m.
During rush hour only, Metro also plans to offer express shuttle buses between Franconia-Springfield and L’Enfant Plaza and between Crystal City and L’Enfant Plaza. Virginia Railway Express (VRE) is another great weekday option with stops at Franconia-Springfield, Alexandria, Crystal City, L’Enfant Plaza, and Union Station. 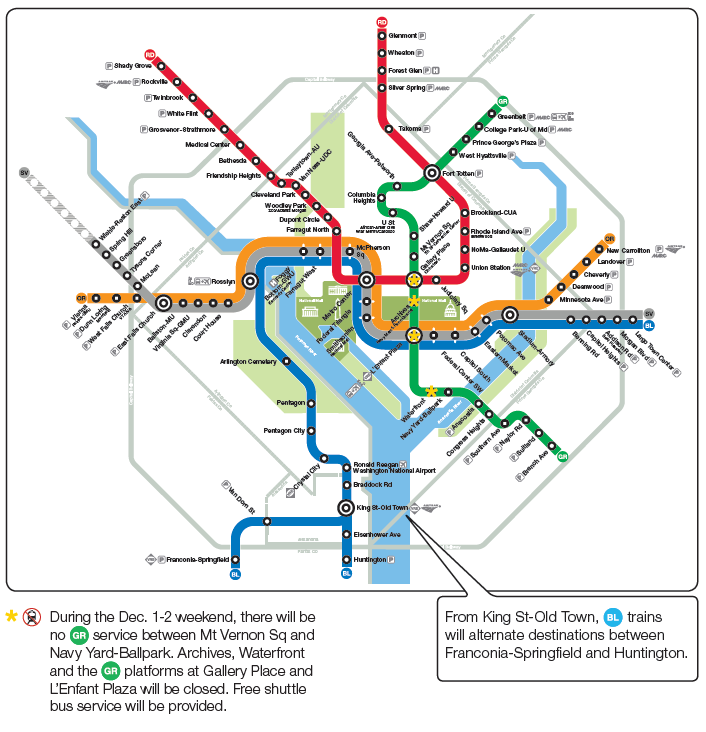 The rail service largely operates toward D.C. in the morning and out into Virginia in the afternoon. Be sure to share this information with colleagues, employees, and friends so that may plan to adjust their commutes as necessary.